Précédent : Article précédent : Opening of 5 new museums in Mons! It’s on! The biggest family history event in the UK will take place next week in Birmingham! This venue was chosen for several reasons : Immediate Media wanted to make the show travel, to go and meet a public who maybe wouldn’t make travel arrangements to London and taking this decision was helped by the fact that Olympia venue is currently being renewed making the idea of a change a necessity. For those not familiar with the show (but are you? 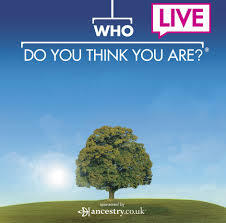 😉 ) there will be talks,courses, stands and experts to help with your family history with a special emphasis this year on DNA which could help us think on the status of that very special discipline and its link with family history. Do come and say hello on table 522! If you have ancestors in Belgium, Northern France and The Netherlands I can perhaps help you bring down THAT brickwall that has been preventing you from finding more ancestors! I’ll be more than happy to see you there!